Jad and Robert are gearing up to hit the road with the next live Radiolab show. But before they hop in the tour bus, they could use a little feedback from a live audience. On October 26th, join us for a special behind-the-scenes peek at the show. We’ll be rehearsing live at the Greene Space–trying out props, getting our sea legs, and cheering on Jad & Robert as they get ready for the spotlight! It’ll be an intimate night of storytelling, science, and experimentation. Watch Jad & Robert tinker with ideas live on stage, and add your thoughts to the mix. The topic is “In the Dark” –from the blackness of space outside an astronaut’s helmet, to two very different realities described by two blind men, to the dawn sight and the evolution of the eye. 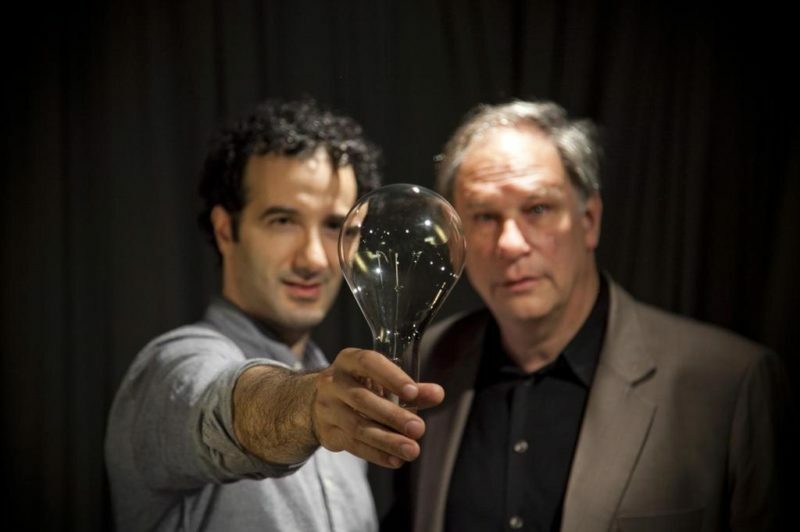 Have a drink, get an inside look at Radiolab’s creative process, and meet some like-minded radio fans.